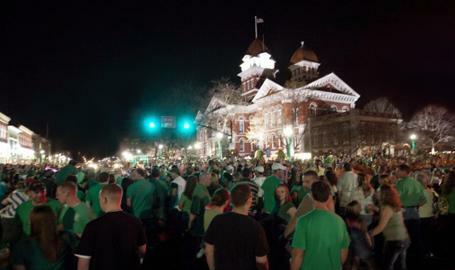 Join in the fun as the annual St. Patrick's Day nighttime parade heads down Main Street in Crown Point, beginning at dusk. All of the parade entries are illuminated. After the parade celebrate with a drink at a place like Crown Brewing. The city also hosts a corned beef and cabbage dinner before the parade at the local fire station. Traffic Notice: Due to increased traffic, the intersections of South & Main, a portion of Wells Street, and Court & South Street will be closed for a short duration during the parade for safety concerns.